Rear Rack Struts. XL Struts for Nice Rack to suit ECR and others. Could you please tell me whether these struts would work with a Nitto M18 Front Rack. Thanks. We have never tested these to work with a Nitto rack. Hi, From what I've read on your website, the Surly Rear Rack Struts will fit a Tortec rack, but be too big for a Tubus rack. Is that correct ? I'm looking to fit a rear rack on my Bike Friday Pocket Rocket and it will need longer than normal stays. Thanks. 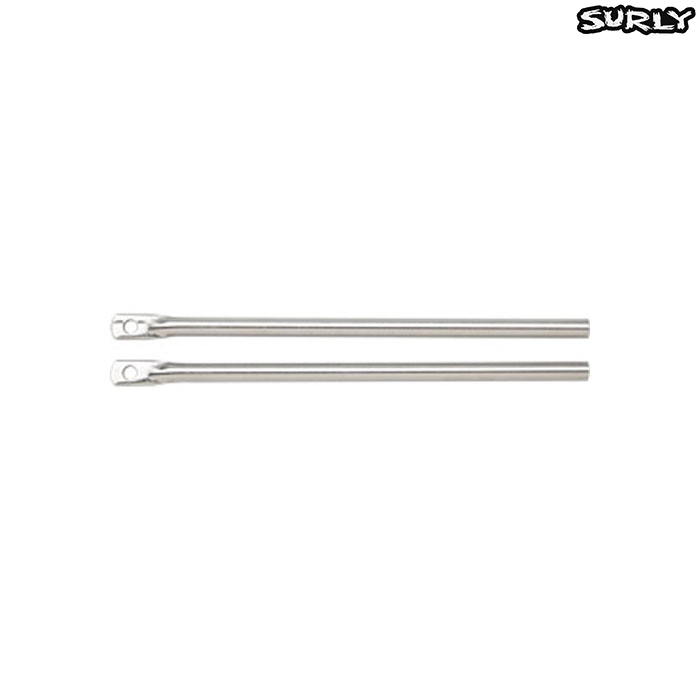 These Surly rack stays are 7.8mm in diameter.